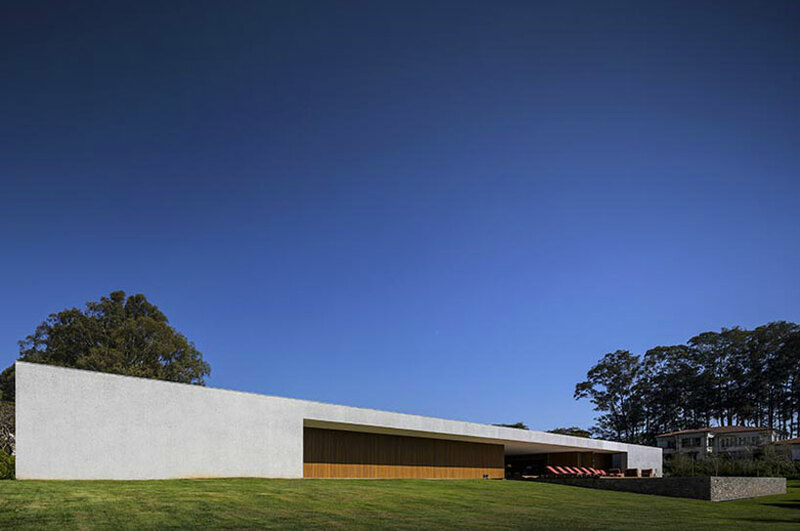 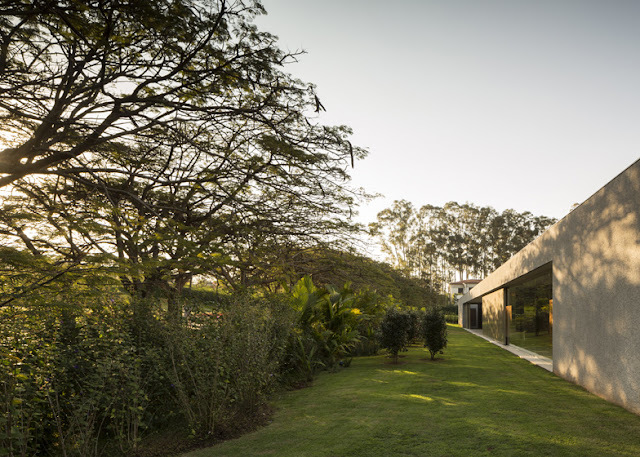 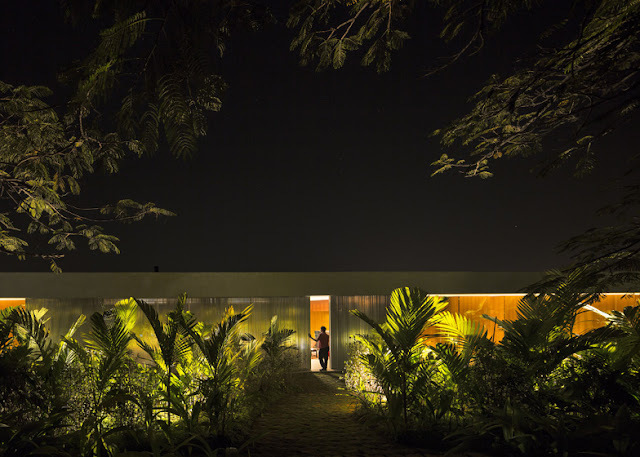 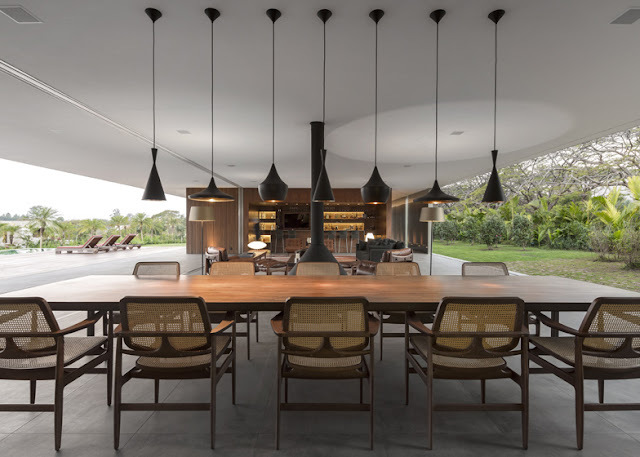 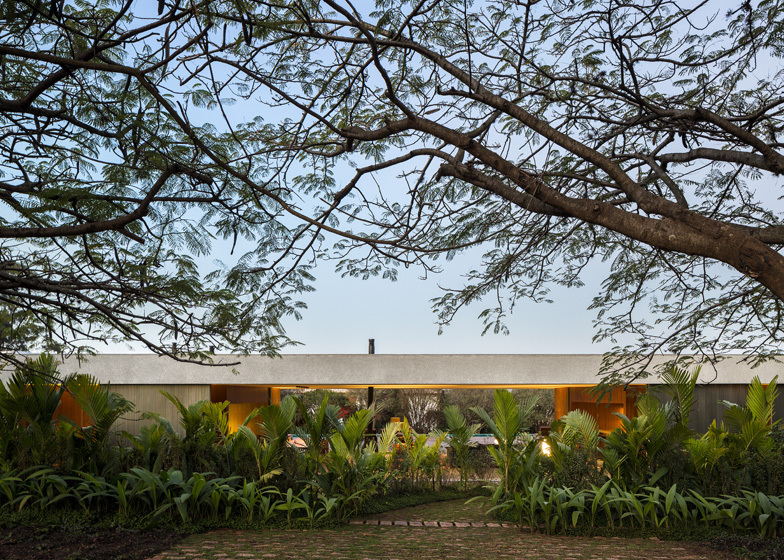 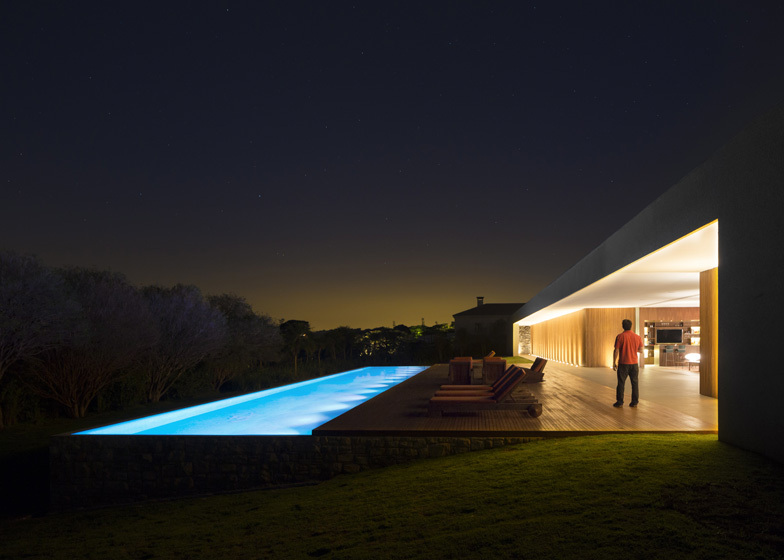 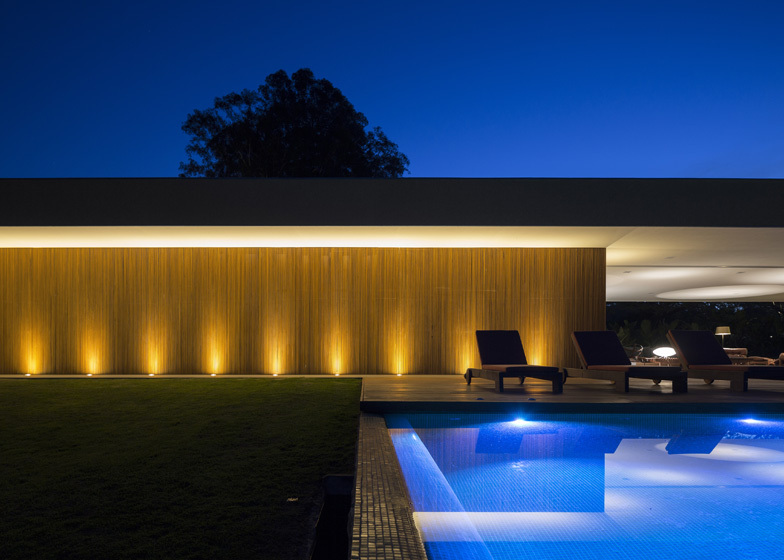 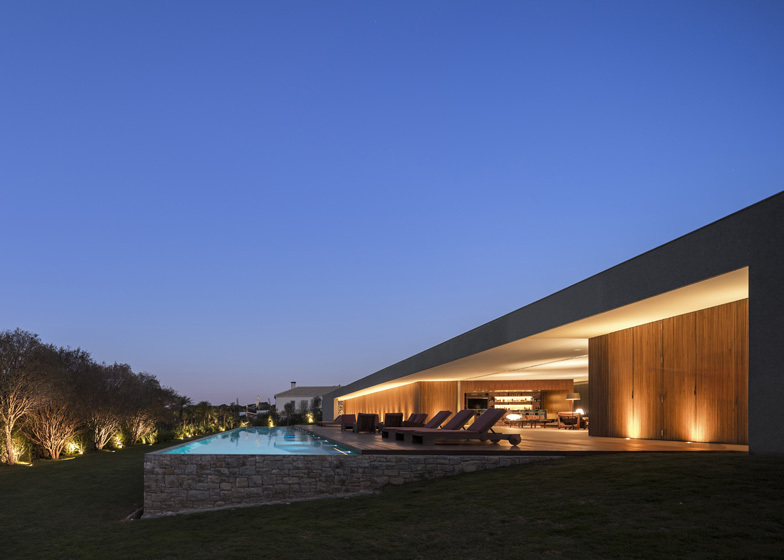 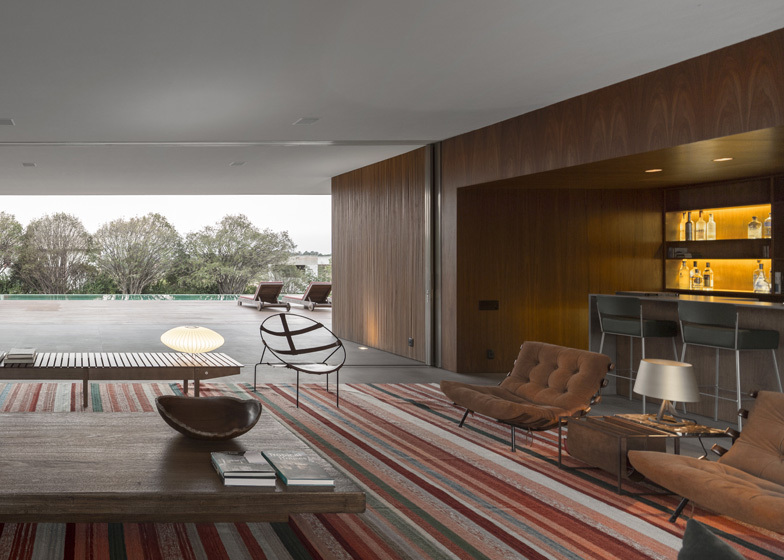 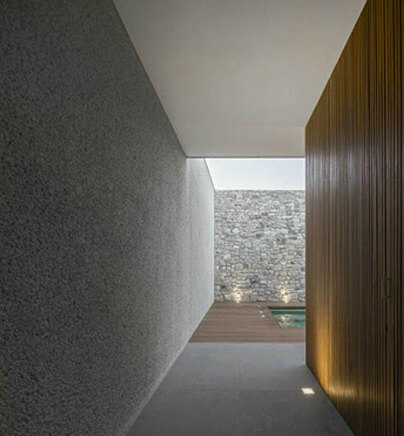 Brazilian architectural practice Studio MK27 have unveiled images of their completed Casa Lee, a one-storey home in Porto Feliz, Brazil, that comprises four bedrooms, a large open plan living space, a gym and an outdoor pool. 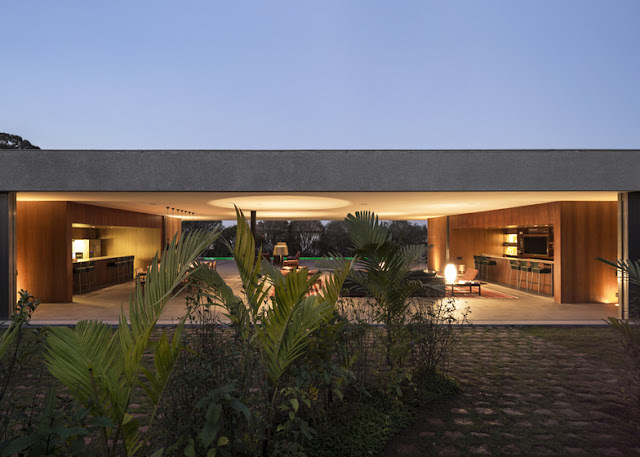 The residence features a solid concrete shell that spans across a larger central void containing the living and dining areas. 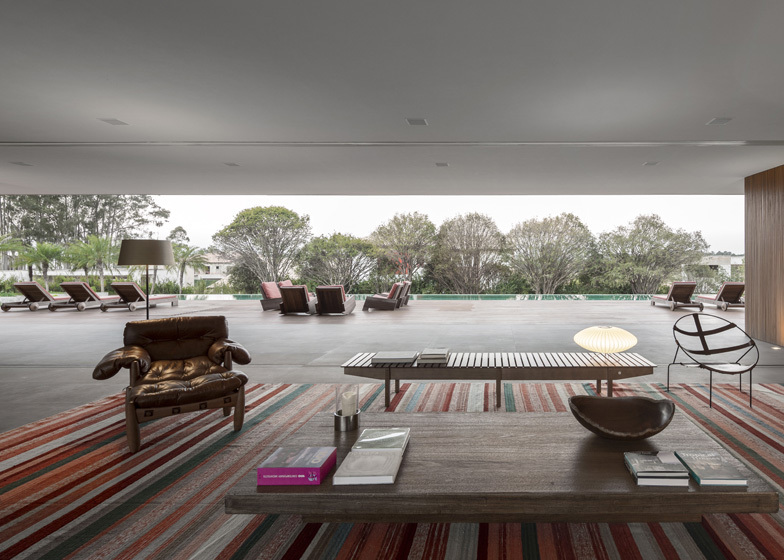 These incorporate large retractable glass walls that allow the space to become part of the exterior, opening to a decked terrace and swimming pool. 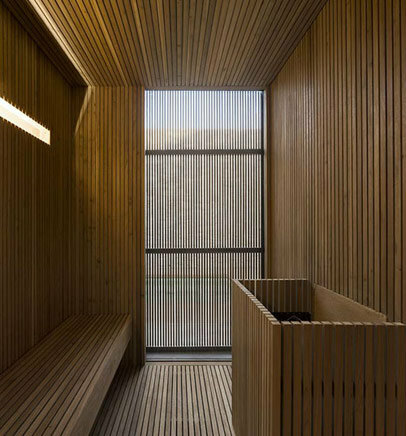 An inset wood-clad volume containing the private bedrooms, sauna and gym is located at the opposite end of the building within the concrete mass.